Poway Mayor Steve Vaus says he will present an idea for low-cost housing in Poway to the City Council . Vaus’ program is called HOMES or Home On My Extra Space. The proposal says the City of Poway pays construction costs for ADU or accessory dwelling unit on participating homeowner’s private property. Homeowner allows the unit to be an affordable-housing rental for a specific term, expected to be in the range of 10-12 years. A non-profit, such as Community Housing Works or similar organization, acts as property manager for the ADU – screening tenants, collecting rent, etc. Rental proceeds are divided among the three parties allowing the City to recoup its investment, the housing organization to cover its costs, and the homeowner to see some revenue. At the end of the term the homeowner gains full control/ownership of the unit without additional cost or obligation. Poway Mayor Steve Vaus says one answer the region’s housing crisis could be found right in backyards . Under the plan, the city would pay for a accessory dwelling unit in a homeowner’s backyard to be rented as an affordable unit for 10 to 12 years. The homeowner would get a third of the rent. Once that time elapses, the homeowner gets the unit outright. “I don’t think any one idea or any one project is going to fill the need, it’s going to take all of these chipping away at it and we’ll get there,” Vaus said. Vaus says North Poway could be an ideal area for the flats. The homes are on much bigger lots, so the flats – as small as 400 square feet – would be able to fit. Multiple builders said a basic accessory dwelling unit could go for about $300 per square-foot. Vaus isn’t buying that figure. “There are several options to build an Accessory Dwelling Unit including converting a garage, building a prefabricated ADU ( Federal or Local code) or site building. 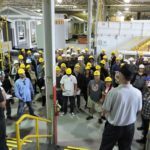 Prefabricated construction should save time and money and be less disruptive to home owners and neighbors” says Bill Cavanaugh, Vice President of USModular, Inc. 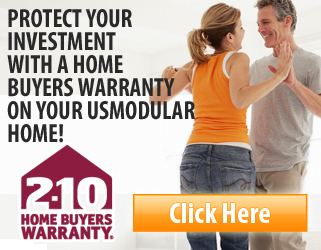 Contact USModular, Inc. for more information.